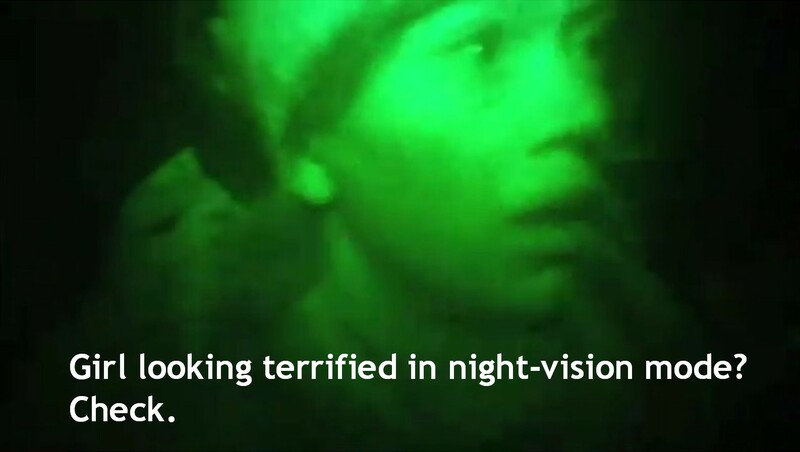 Since The Blair Witch Project in 1999, the "found-footage" sub-genre has been testing audiences' patience and motion sickness tolerance on a regular basis, occasionally throwing up successes like Cloverfield, Paranormal Activity and - to some extent - District 9, but more often resulting in low-budget horror dross that nobody saw. How many from Wikipedia's by-no-means-exhaustive list have you seen? That's a rhetorical question by the way, I'm not really interested. The point is that if you're going to make a film using handheld cameras with an improbably long battery life and captions describing how the footage was discovered, it had better be something special. Now Norway's getting in on the act with the interword-separation-ignoring TrollHunter, the "story" of three students who head off into the woods with a camera and a sound kit and blah blah trolls blah blah grizzled hunter blah blah not entirely successful. TrollHunter is admirable for its imaginative creature design and cheap-but-effective visual and sound effects, as well as for its combination of traditional Norse mythology and modern-day sciencey stuff, but its failures outweigh its successes like a [insert comparative metaphor about massive trolls and tiny people or something later]. On more than one occasion it breaks the fundamental rules of found-footage films: at one point the sound girl and her equipment get left behind but we can still hear what's going on with the rest of the group on screen, and there are several shots of the exterior of a vehicle which the cameraman is supposed to be inside. But these are minor niggles compared to the lack of anything resembling an interesting character. I'm afraid it's more of a case of "Fee Fi Ho Hum". On the plus side, the film's best moment is available as a ringtone from the official website, so that's, um... good? The Incredible Suit is The Droll Hunter. Scooby-Do is The Drool Hunter. Veteran Woody Allen is The LOL Hinter.